Known for their global architecture, Foster + Partners are renowned for good design. A collaboration with Porcelanosa created the basis for an ambitious vision – to create a comprehensive and co-ordinated range of bathroom products that could be combined into a multitude of settings, from residential to commercial interiors and everything in between. The result of this ambitious collaboration is TONO Elements and TONO One – a set of bathroom components designed to work together as a part of an integrated system, with an unlimited choice of finishes and materials. Unified by a common, simple design language and palette of complementary materials and colour tones, the minimalist aesthetic brings to the fore an honesty of material, simplicity of form and the craft of manufacture. Available in our Woking showroom, we bring you some highlights from TONO. Discover a collection with unlimited creative combinations for modern bathroom design. TONO Elements offers designs in basins, bathtubs, taps and bathroom furniture. It focuses on combinations of materials, all of them being innovative, such as natural oak, maple or walnut wood; limestone and marble; The KRION® Solid Surface compact mineral; or the high-end ceramics for Noken Ceramic® sanitaryware. Basins, which can be recessed or countertop. Their appearance is minimalist, and they have a unique design with a cover cap which hides the drainage pipe and increases its functionality. Bathtubs, made with KRION® acrylic stone, natural stone or ceramics. It has a freestanding design and hidden drainage which highlights its avant-garde character. 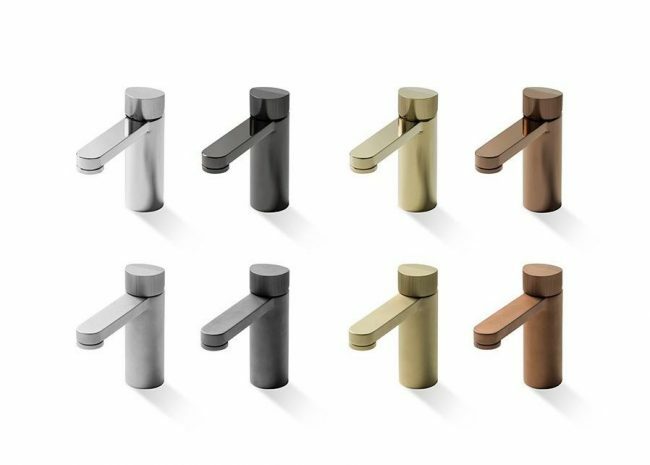 Taps, in four different colours and in a gloss finish. They stand out because of the quality of their manufacturing materials, as well as for their functional bezel, which works as a visual signal to raise the control lever. Bathroom furniture, made with drawers and benches in relation to the entire collection design. TONO also includes a selection of mirrors that increase the beauty of the set which can be illuminated. TONO One is an all-in-one design. Bathroom equipment which integrates several of the necessary pieces of the framework in the same unit; ranging from the basin, the bathroom furniture and the mirrors, to the full space in the shower. The design is simplified with TONO One, becoming a strategic blend of items which develop from the excellence of natural stones, natural wood or the endless versatility provided by the KRION® Solid Surface mineral compact. TONO One offers several unique and timeless handmade pieces for the same bathroom concept, ranging from the piece joining the basin, taps, mirror and bench, to the one integrating a shower tray, single lever and shower heads. A main advantage regarding this concept turns out to be the quick and easy installation, minimising bathroom refurbishment. The TONO taps collection offers designs that surprise, and at the same time, make the bathroom stand out. A bathroom becomes customised thanks to elegant and easy to use taps. The TONO taps are solid, but at the same time, light, intuitive and practical. As well as that, its knurled lever has been designed to facilitate the grip, together with simplifying the use in general with a functional bezel that captures light and acts as a visual signal to raise the control lever. Tono taps ooze elegance and sophistication, thanks to a wide range of finishes in either gloss or satin. From the gloss and metallic touch of chrome, to the uniqueness and all luxury character of chrome matt, titanium, gold, copper or rose finishes. The basins from the TONO series stand out because of both their functionality and wide range regarding formats and models. For instance, you’ll find a 40 cm inclined floor mounted basin, a cylindrical basin also measuring 40 cm; and a wall-hung basin in three widths: 40, 60 and 80 cm. All of them are high-resistance ceramic models. 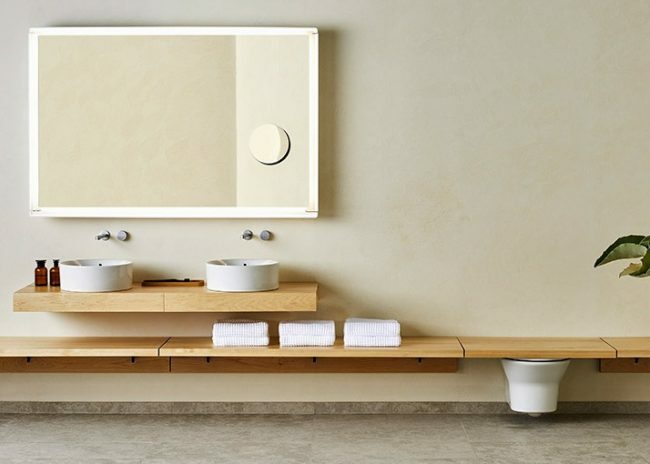 The TONO basin series blends perfectly with the furniture made up of natural wood. This allows the porcelain to really stand out and increase both the expressiveness and authenticity of the whole bathroom. The Foster + Partners studio has created a range of sanitaryware in a wall-hung format to meet the needs of compact bathrooms and encourage the better use of space. Bidets and sanitaryware have also been manufactured with the high-quality porcelain from Noken, providing great strength and durability without sacrificing its minimalist and elegant forms. 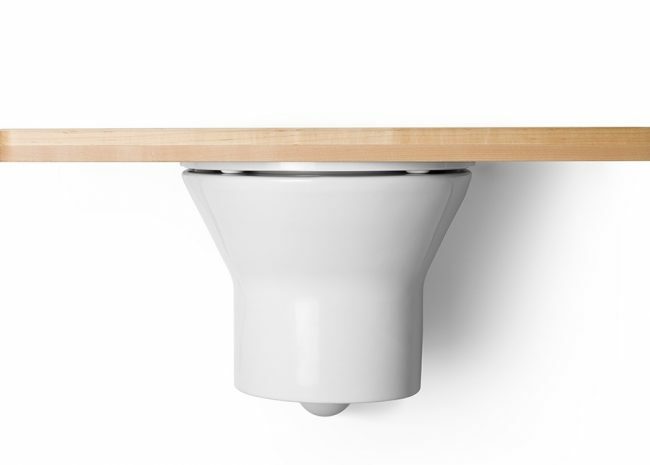 The design of TONO sanitaryware is also combined with the warm and authentic touch that wood offers, through a very practical lid in the form of a shelf. 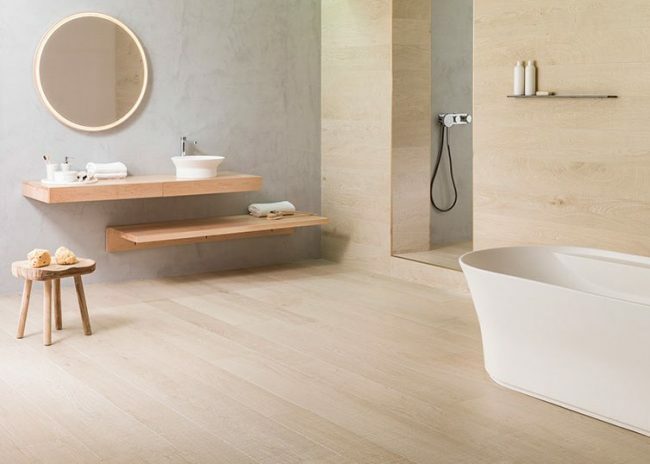 TONO Elements and TONO One let you customise your bathroom with the essence and quality from Porcelanosa Bathrooms and the cutting-edge design from Foster + Partners. Visit our Woking showroom to see highlights from the collection and find out more. This video will also inspire your TONO creativity.